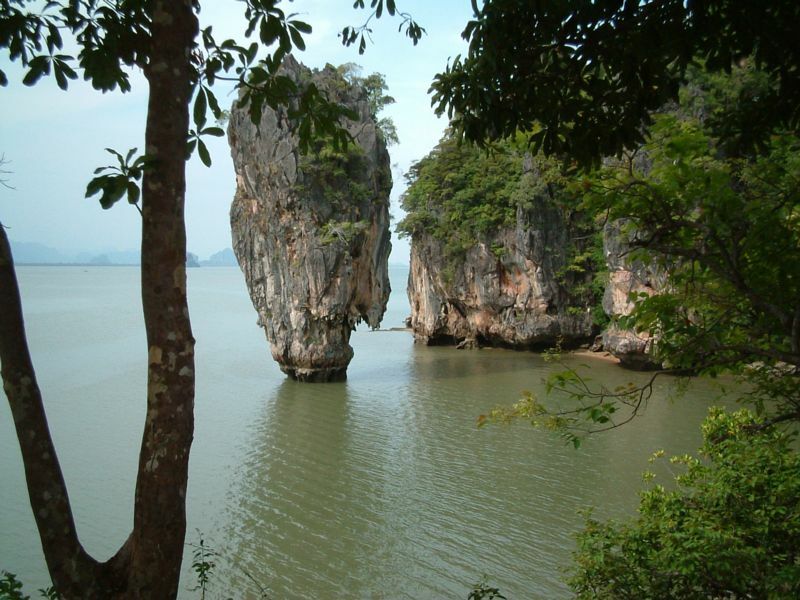 Ko Tapu (Nail Island) is a striking formation familiar not only to visitors to Phang Nga Bay near Phuket Island in the south of Thailand, but to viewers of the movie The Man With the Golden Gun. Locals have renamed the rock "James Bond Island," after it was featured in that film's opening scene. Kenny and Winnie Root include images of it on their online photo album and graciously offered it for inclusion on this site. 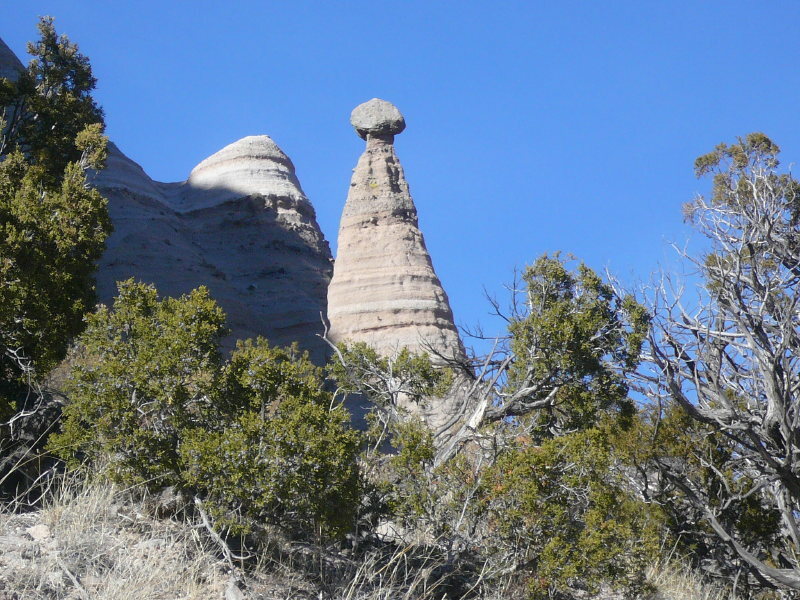 One of the more recently designated National Monuments in the US, Tent Rocks National Monument protects many striking geologic features of the New Mexico landscape. This image by Daliel Leite was taken near Cochiti Pueblo. 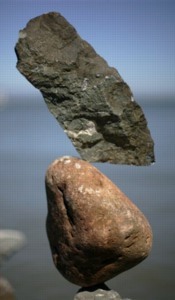 Most likely, it is the result of a harder volcanic deposit resting on top of easily erodable sand and gravel sediments. 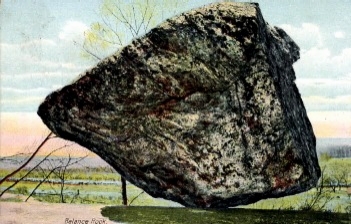 Retreating glaciers in the Northeastern US left behind many erratics, some precariously balanced enough to be called "tipping" rocks when discovered. 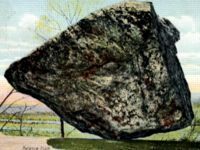 The New England Antiquities Research Association has posted an extensive report by Jim Moore on balanced rocks of Massachusetts. None appear to "rock" at the present time. 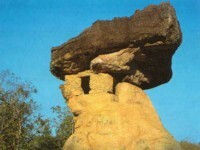 Several investigators have suggested that pre-European inhabitants may have originally enhanced the balance of some of these seemingly natural features. 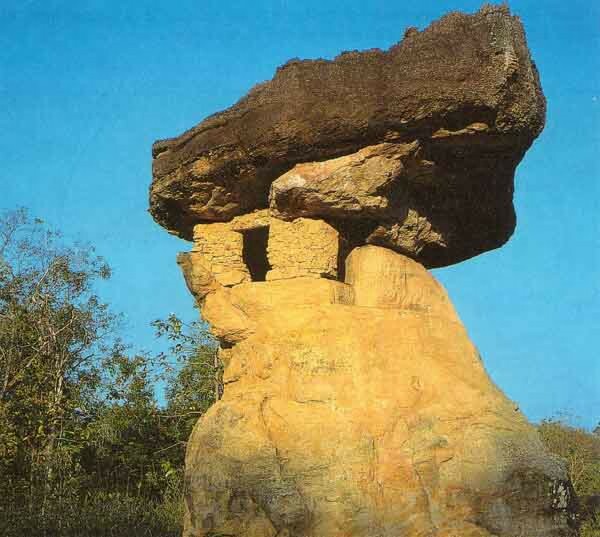 A monastic cell built beneath a balanced rock, photo courtesy Thai Home Stay, which could guide you there.